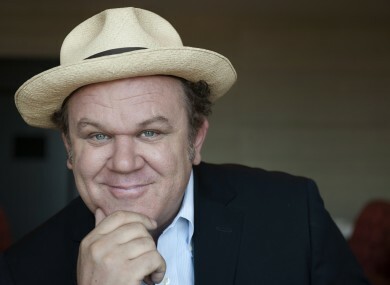 JOHN C REILLY, he of Stepbrothers, Walk Hard, Talladega Nights and Chicago fame is coming to Dublin. According to Golden Plec he’s playing a gig at the Unitarian Church in Dublin on 9 February with some friends. Reilly has already been nominated for a Grammy for his work on the Walk Hard soundtrack, Jack White has produced some of his songs and he’s been on tour with Willie Nelson and Band of Horses, so he’s okay at the old tunes. Did you know Steve Martin has won Grammys for his music? Well he has. Say what you want about Jack Black’s acting (let’s all have a moment’s silence for the travesty that is The Holiday) but Tenacious D have some TUNES. Juliette Lewis was in Kalifornia, What’s Eating Gilbert Grape and Natural Born Killers. Email “John C Reilly to play in Dublin... here's 5 more actors turned musician”. Feedback on “John C Reilly to play in Dublin... here's 5 more actors turned musician”.